Membrane structures rely on double curvature to resist imposed loads efficiently. Imagine a flat piece of fabric. An imposed download of snow can only be resisted by tension in the horizontal fibres a bit like making the catenery cables on a suspension bridge horizontal and excepting them to still carry the weight of the road deck. In fig. 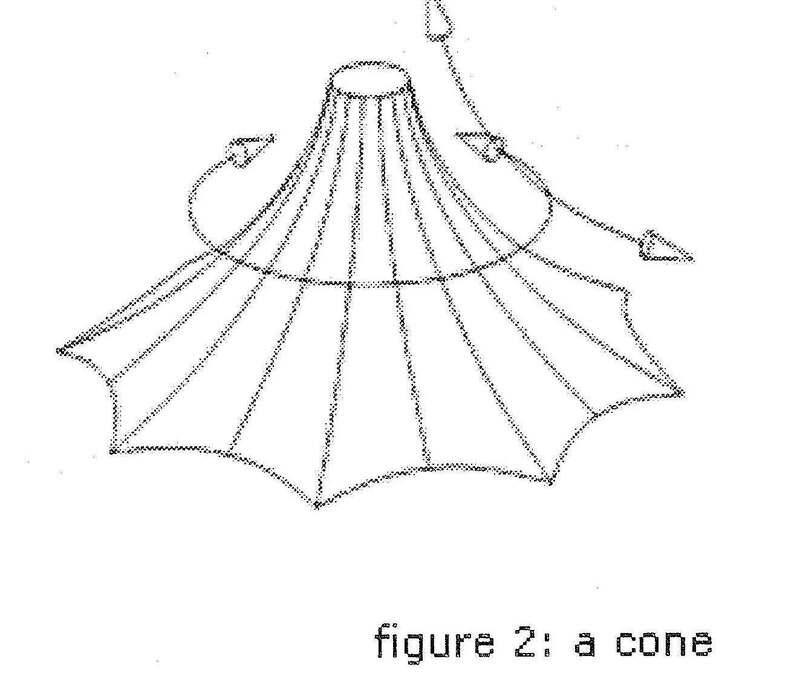 1 a classic Hyperbolic Paraboloid, any point on the membrane surface can be restrained by the corner points. The two high points pick up any downloads and the two low points resist the wind uplift. The flatter the fabric, i.e. the smaller height difference between the high and low points, the greater the resultant loads will be at the corners. 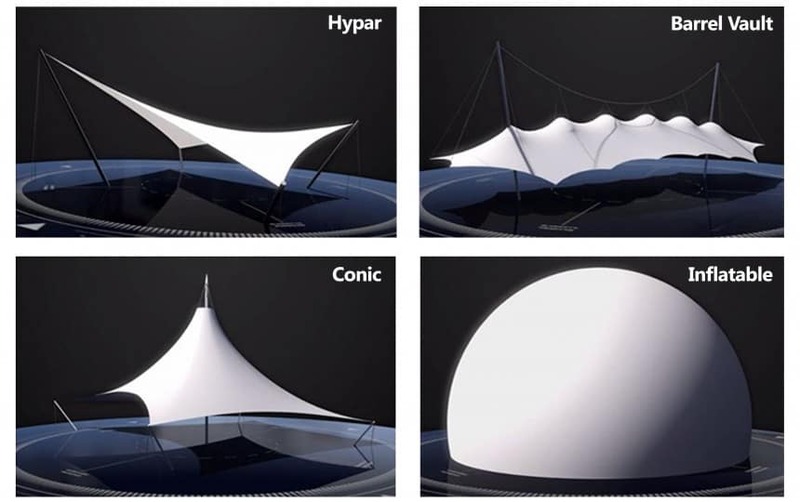 Inflatable fabric structures are synclastic forms where the constant air pressure balloons the fabric into shapes also exhibiting double curvature. 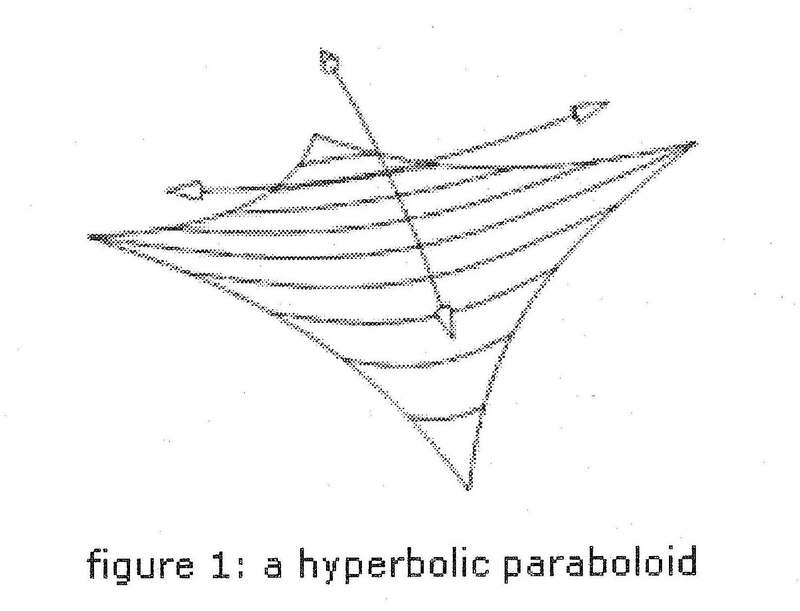 Anticlastic forms like the hyperbolic paraboloid have opposing curvatures. 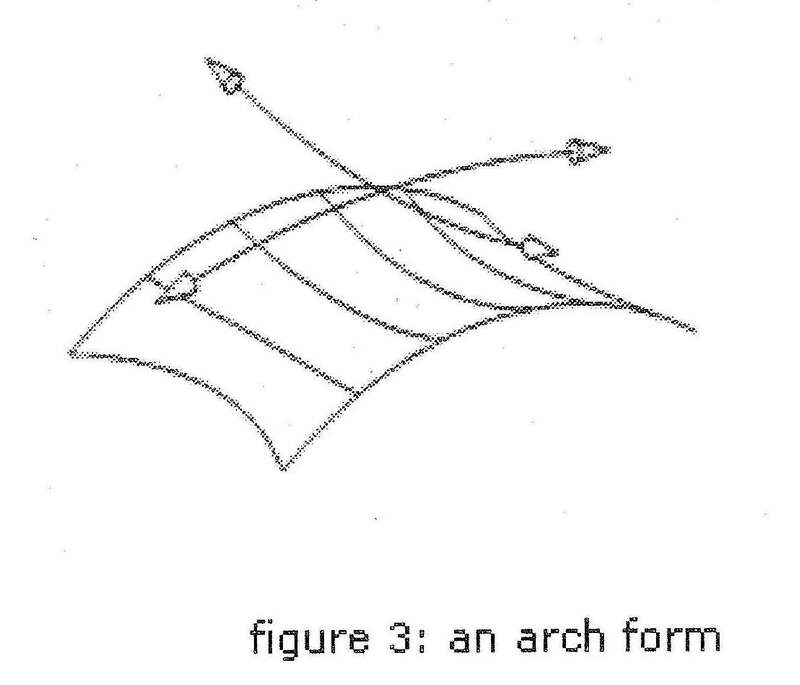 Nearly all tensile canopies are derived from either one or a combination of these three shapes. The surface are derived from either one or a combination of these three shapes. The surface of the membrane adopts a similar kind of characteristic double curvature. The creative challenge to designers is to explore the development of striking new forms, which satisfy the structural requirements of the membranes surface. Developing new shapes of push-up elements, and varying the design of the perimeter connections enables dramatic variation in the appearance of a structure. Membrane forms can be soft or spiky, rotund or leaf-like. They frequently a combination of these forms. Pre-Stress is the tensile forces introduced in the canopy during erection. The shape of a membrane surface is determined by the ratio of prestress in the two principal directions of curvature. These are established in the computer form generation process. The absolute values of prestress are calculated to be sufficient to keep all parts of the membrane in tension under any load case. Any imposed live load will be carried by redistributing the stresses within the membrane. If this results in any section going into compression, i.e. going slack, then creases will appear. Similarly if the prestress is not high enough snow load could cause ponding. As Technical Design Consultant, Alex brings to the table a wealth of design & engineering expertise.